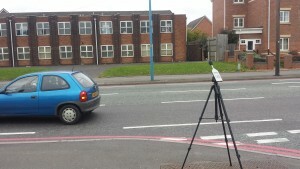 Noise Survey Reports by IOA registered Acoustician and Noise Consultants providing Noise Impact Assessments at a low cost. Noise at Work (To HSE standards). Our work place noise assessment provides you with a measure of your employees daily dose and is suitable for insurance companies. We provide you with a noise map of your workplace and we can help you select theright hearing protection for your staff. We provide training to your staff to help them understand their reponsibility andthe importance of wearing hearing protection. Entertainment and Leisure noise from concerts and events. Noise and vibration monitoring at factories, construction sites, quarries, mines and oil rigs. School, College and Educational Assessments to BB93 We provide noise insulation measurements to report on compliance with BB93 and noise criteria for educational facilities Building Sound Insulation Test for Part E We provide sound insulation testing to measure airborne and impact noise to demonstrate compliance with part E of the building regulations. We conduct building sound tests to satisfy building control. Industrial Noise & Vibration Control We provide noise survey plus assessment and design solutions to noise and vibration from industrial processes. We have a fixed noise survey cost for standard day time assessments. Our noise survey report is robust and detailed and suitable for planning applications.